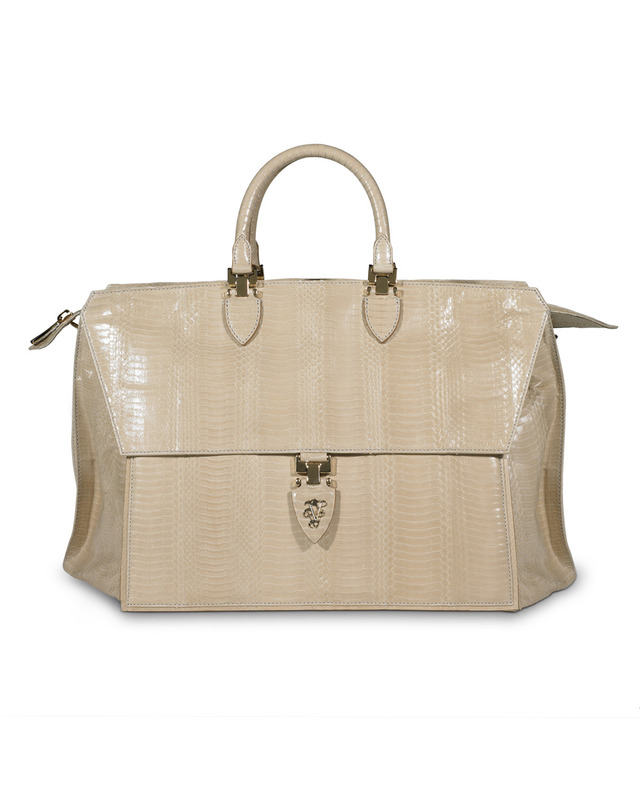 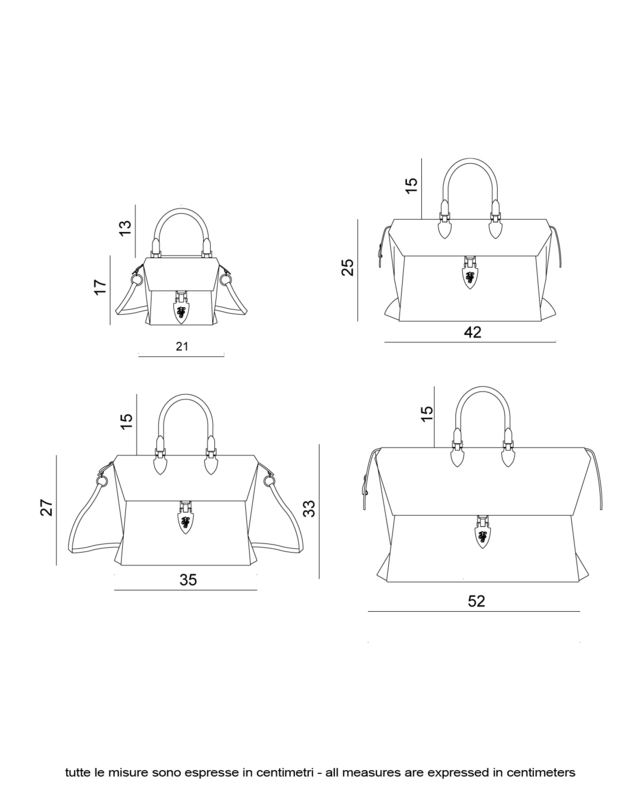 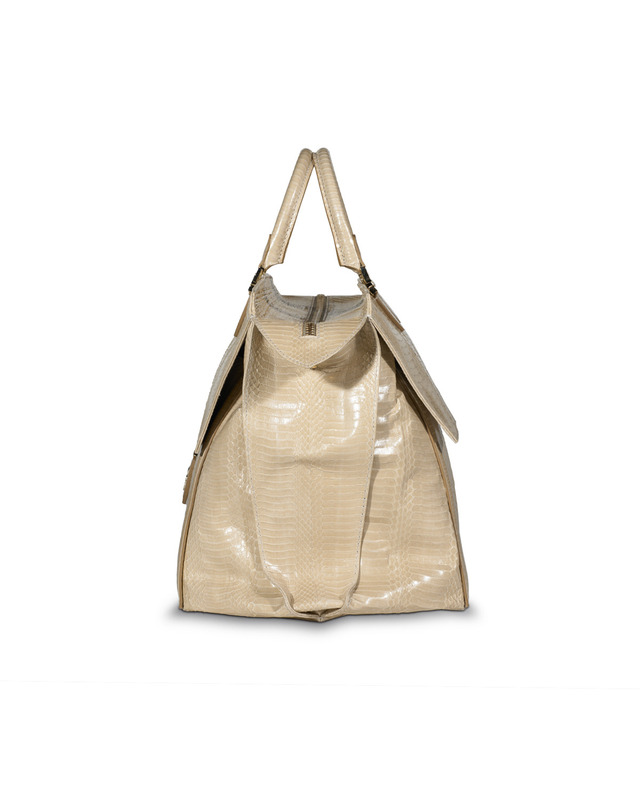 Inspired by the most talked-about newlyweds of the century, the new Buckingham bags, 100% Made in Italy, made witrh soft leather or snake skin.. 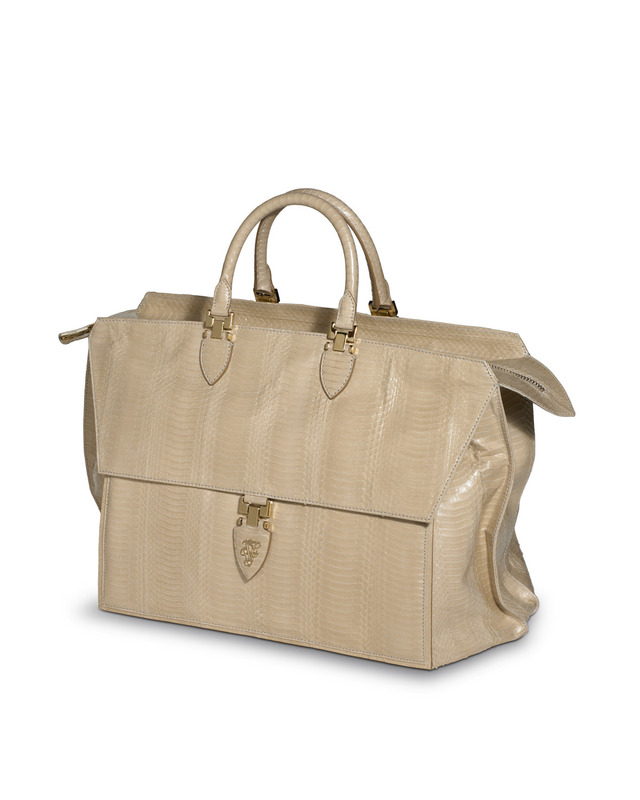 Available in different colours. 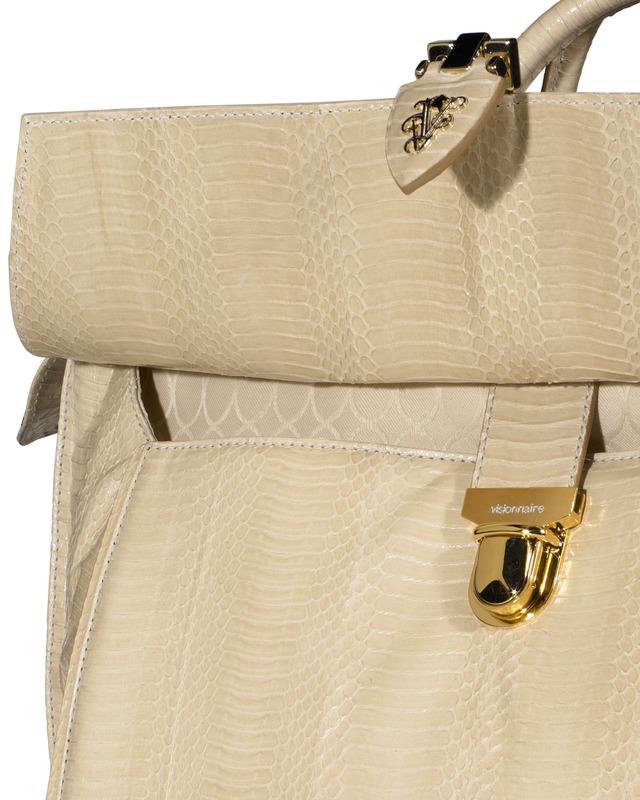 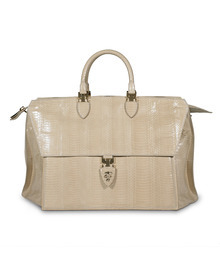 BUCKINGHAM LARGE - Oyster backup python handbag.